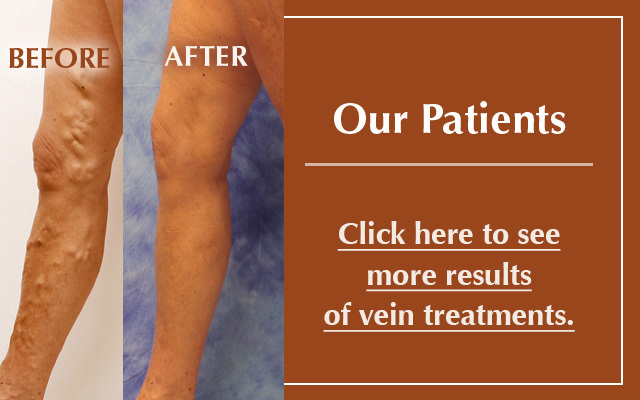 The treatment of venous disease today is vastly different from traditional treatments performed in the past. Breakthroughs in minimally invasive treatment and the many effective out-patient procedures available are providing more people immediate relief from their venous disease symptoms. These new approaches to treatment involve less time and less pain, and they are overwhelmingly successful over the long term when performed by an experienced phlebologist. People no longer have to live with pain, discomfort, or embarrassment. 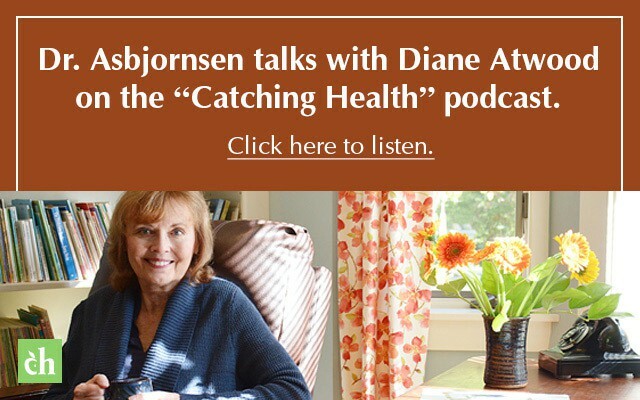 By treating the symptoms, people have stopped the progression of their disease and improved their quality of life. It is critical that venous disorders be treated appropriately by a vein specialist (also called a phlebologist). Despite the ease of today's modern treatments, the source of the problem and how one’s overall health is affected must be considered a part of patient care. During an initial visit to the Vein Healthcare Center, a trained vein specialist uses "ultrasound mapping" to diagnose the patient. Ultrasound mapping uses high-frequency sound waves to create images that form a map of the venous system. This map is used to determine the individual's pattern of diseased veins and to identify the source of insufficiency so effective treatment can begin. Sclerotherapy is used to treat veins just below the skin’s surface that are either invisible or difficult to see with the naked eye. 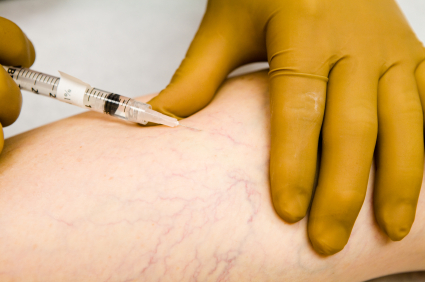 In this procedure, small needles provide access to the vein so a medicine called a sclerosing agent can be injected into the vein’s interior wall. This substance causes the vein to become sticky and seal shut, allowing the vein to disappear. Blood then finds a healthy path back to the heart. There is little risk of complication, and patients often experience an immediate relief of symptoms. Light-assisted sclerotherapy is used to treat veins below the skin’s surface that are difficult to see. These reticular veins are responsible for feeding the veins that are visible on the surface of the skin. During light-assisted sclerotherapy, a small, hand-held light illuminates the veins and tissue directly below the patient’s skin. This allows the physician to clearly identify the source of the dysfunction and begin sclerotherapy. Ultrasound-guided sclerotherapy is performed under the guidance of ultrasound. It is reserved for leaking veins that are not visible, and cannot be seen with transcutaneous illumination (hand-held light used to view veins near the surface]). This procedure is often used to treat perforator veins, or veins that connect the superficial system (above the muscles in your leg) to the deep system (veins under and between the muscles of the leg). Perforator veins that leak and cause venous insufficiency can result in skin ulcers and must be treated at the source of the dysfunction. Due to their position alongside the artery, a skilled ultrasound sonographer is critical to the success of this procedure. Although this is a safe procedure, complications are possible. You should always do a thorough overview of risk and benefits with your physician prior to treatment. Also, clarify that your physician is using a modern sclerosant such as polidocanol, as some sclerosants used in the past were less comfortable upon injection and had worse side effects. Additionally, confirm with your physician that the sclerosant is in a liquid form, as opposed to foam. Foam sclerotherapy is the mixture of liquid and air prior to injection. Although foam sclerosant may be more effective, research is still preliminary and risks need to be further evaluated. Foam sclerotherapy treatment will likely receive FDA approval in the future, however, for now it is safest to confirm that your physician is using a liquid sclerosant alone. If you choose foam sclerotherapy, you should be fully informed about the known risks. Endovenous laser ablation (EVLA), also called endovenous laser therapy (EVLT™) or radio frequency ablation (RFA), is a minimally invasive treatment used to address specific large varicose veins in the legs. It is considered the gold standard in treatment of venous symptoms, and has largely replaced previous, more invasive standards of care, such as vein stripping. 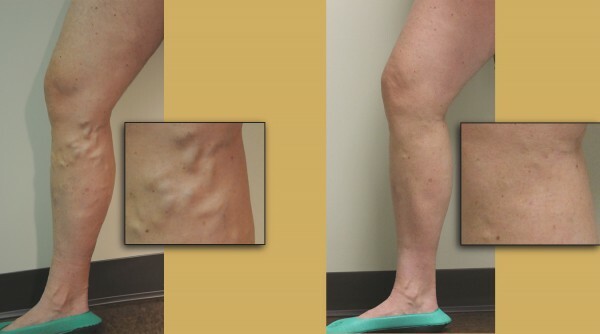 EVLA has opened the door for many patients with venous disorders to eliminate symptoms and improve their appearance with minimal time investment and minimal pain. EVLA is an outpatient procedure performed with local anesthetic. The procedure begins with the placement of an IV access port directly into the leaking vein. Prior to the placement of the IV, the skin is numbed with a small amount of anesthetic (this should be the most painful sensation that you feel during the procedure). Once “access” is established, a laser fiber is threaded into the vein up to the highest place the vein is leaking. This can’t be felt because the inner walls of the veins do not have sensor receptors. Once in position, more numbing medicine is added to the out side of the vein; it should not be more uncomfortable than the first pinch when access was established. Once the leg is numb, the laser is turned on or “fired,” sealing the vein shut from the inside out. The vein eventually is reabsorbed by the body and will no longer be visible on the surface of the leg. Blood is diverted to the many other healthy veins in the leg, and there is no ill effect from the loss of the troublesome vein. Patients are able to return to work the next day with very limited restrictions. 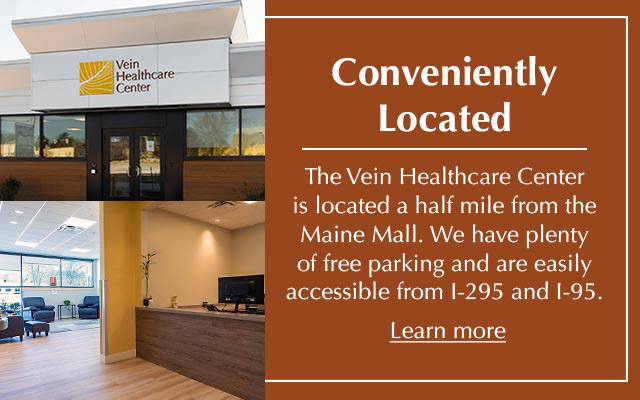 At the Vein Healthcare Center, we support the minimum intervention that will meet the patient’s goals for treatment. 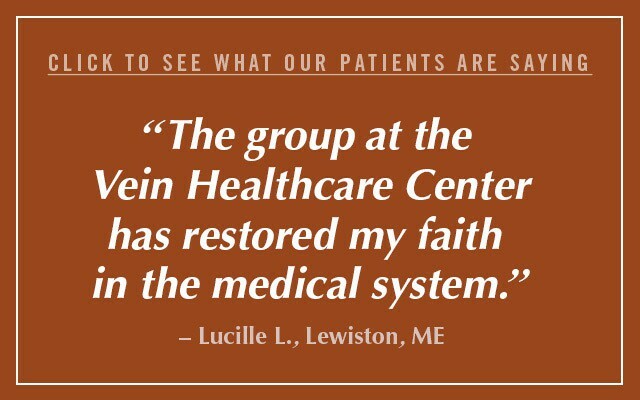 There are several options for conservative treatment of venous symptoms, and patients are encouraged to follow the treatment path they feel is right for them. For those opting for conservation treatment, we are committed to providing support, education, and continued monitoring, at the patient’s discretion. Exercising the feet, toes, and ankles is recommended to help reduce symptoms and prevent the onset of venous disease and its progression. Tapping the toes and flexing the feet several times a day, for example, can help blood move up into the legs. This is particularly recommended for those who sit and stand for long periods. Maintaining a healthy weight and exercising regularly is an important part of maintaining vein health. Because smoking hinders circulation, quitting is an important part of prevention as well. Regular movement to prevent long periods of sitting or stagnancy is also recommended. At the Vein Healthcare Center, we assess an individual’s risks for venous disease and help them develop a prevention plan that is right for them. 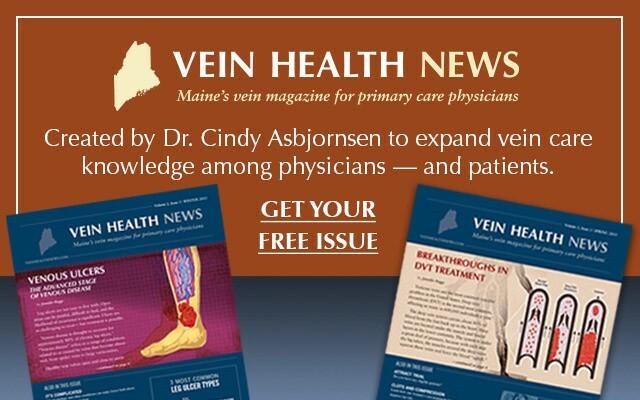 Learn more about the latest research, information, and resources at the Venous Health Links and Information section. Varicose veins are a symptom of progressive venous disease. Most insurance companies recognize venous therapy as a medical treatment and are thus covered by insurance. Read more.